Santa Claus has taken time out from his North Pole duties to enjoy a special fundraising breakfast with local children at our Community Café based in Patrick House. 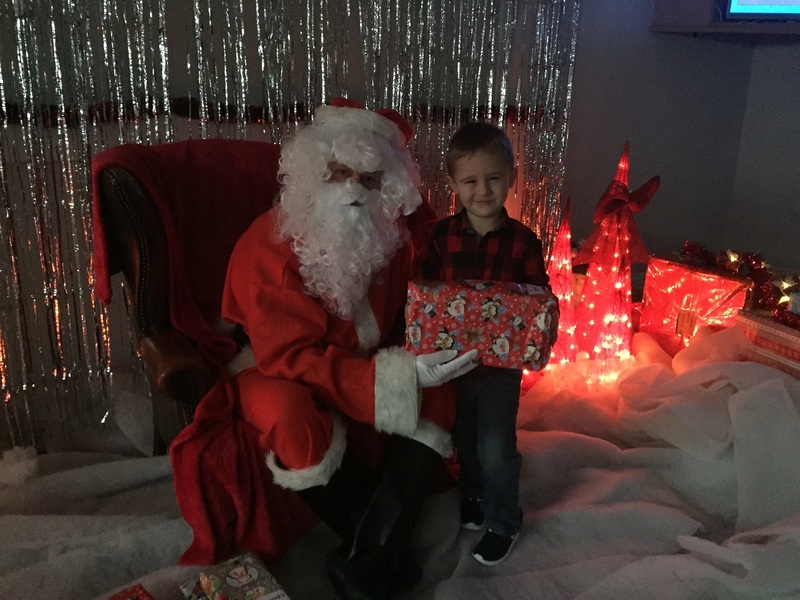 Old Saint Nick joined the children at our Leigh Road premises to enjoy a special breakfast of Rudolph’s Toast, Prancer’s Pancakes, Cupid’s Crumpets and Santa’s Cereal – expertly prepared by our Recovery Academy members. “Christmas should be a special time of year for everyone,” says Pam Gilligan, our Chief Executive. “However, for many people it’s a time of crisis for personal and financial reasons. I’d like to say a heartfelt ‘thank you’ to all our staff and volunteers who have helped us to organise Breakfast with Santa, and to the parents, grandparents, other family members and friends bringing young people to our café today and tomorrow. The money you have contributed through ticket sales will assist us greatly in continuing to meet the needs of people in crisis. On Wednesday and Thursday, we will surprise 52 families in need – selected by Wigan Borough Council – with deliveries of food and gift hampers so that they can enjoy a traditional Christmas. “Thanks to the continuing support of major companies and investors in Leigh – who year-on-year generously donate food, presents and their time – Santa will not forget our most vulnerable families,” adds Pam. To enquire about future fundraising events to be held at Patrick House, or to find out how to donate to our Christmas appeal, please telephone 01942 418830.